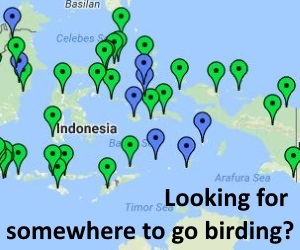 The best spot for migrant waders on Bali. 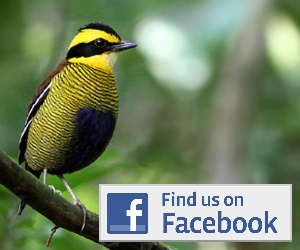 Always worth a look for Indonesian rarities. Beach Thick-knee, Oriental Plover, Chinese Egret, migrant shorebirds and terns. Pulau Serangan has some of the best shorebird birding on Bali (in fact some of the best in Indonesia). The site is best visited by motorbike as in this way you can explore the many pools and causeways easily. There are several large seawater lagoons, areas of mangrove, flooded grassland (depending on the season), dry scrubland, and scrappy forest. The pools can hold massive numbers of migrant waders and terns, in particular Red-necked Stint, Curlew Sandpiper, large plovers and curlew. In amongst there look out for Terek Sandpiper, Grey-tailed Tattler, Broad-billed Sandpiper, Turnstone, Sharp-tailed Sandpiper and more. If the weather is right to find areas of flooded grassland, look out for Oriental Plover, Long-toed Stint and snipe. The mudflats around Pulau Serangan can also hold many waders, and are worth scanning to look for Chinese Egret. The scrubland around the pools holds many Savannah Nightjar and Barred Buttonquail, and should be worth exploring to find the far less common Small Buttonquail. With your own bike (either a hired one, or a motorbike taxi) access is pretty easy. Take the causeway to the island and the immediately turn right onto the dirt track heading south. There is a small guard post at this point, but they wont normally stop you, and if they do, just say you are going birdwatching and you probably wont have any problem (don’t say you are taking pictures, however, as for some reason this does seem to cause them an issue!). Once on the side track head towards the lagoons and explore at your leisure! Take suntan lotion, or even an umbrella, as there is little shade here and the sun is relentless. Can one drive a car into palau Serangan as we should have a hired car for our trip. Should Oriental Plover be present during winter. Many thanks for your website. It has fantastic information.